It's our pleasure to serve you more about the Prague history, legends, houses, churches, castle and other unique sights and famous people that influenced this magic city. The tour can start any time you want, the guide or the driver will pick you up at your hotel or at the restaurant, railway station, airport, or any other place you wish. Our licenced tour guides speak fluently English, German, French, Italian, Spanish, Russian, Japanese, Turkish, Portuguese, Greek, Scandinavian languages (Swedish, Norwegian, Finish, Danish), Polish, Hungarian, Chinese, Hebrew and many other languages. 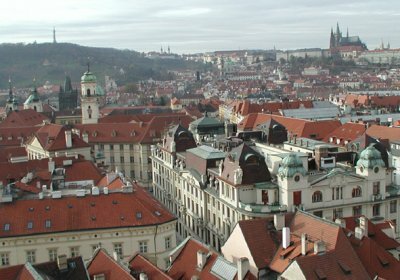 See Prague from the car made in the beginning of the 20th century. Our guide will help you to find antique and crystal shops. See our beautiful city spread out before you. See Prague from the vintage tram. Have a party seeing the city from the vintage tram. Come to see Prague from the vintage tram - the Streetcar.